Ensure that your products are contaminant-free and protected against microcontamination with materials analysis services. 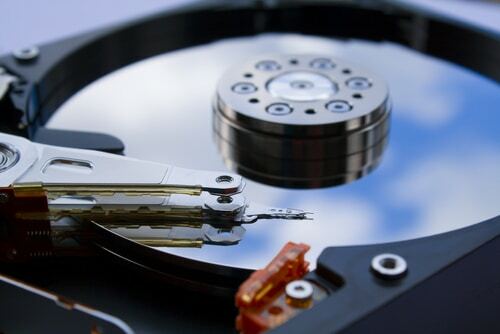 In hard drive production, microcontamination is an ever-present threat. From R&D, to testing, to manufacturing, there are numerous opportunities for microcontamination to occur. If your team finds signs of contamination or a product fails in testing, there are analytical testing processes available to help find diagnose a cause and solution. Hard drive production is proprietary and unique. When issues like microcontamination arise, you need a solution that is customized to your needs and schedule. Involved in microcontamination and cleanliness testing since the early days of this industry, Innovatech Labs provides cleanliness testing services per IDEMA specifications and the specifications of individual hard drive manufacturers Innovatech Labs has been a Seagate approved testing laboratory since 1993. Are you required to test for? Innovatech Labs is a material testing lab that manufacturers trust to ensure that hard drive components meet industry standards. Contact us to discuss your cleanliness testing needs. Our analysts will help you understand what testing is necessary for your product and if your product does not pass the acceptance criteria, we will work directly with you to find the cause and a solution of any contamination challenge you are facing. For more information about the microcontamination services at Innovatech Labs and how we can help you customize a solution to your microcontamination issue, contact us today.